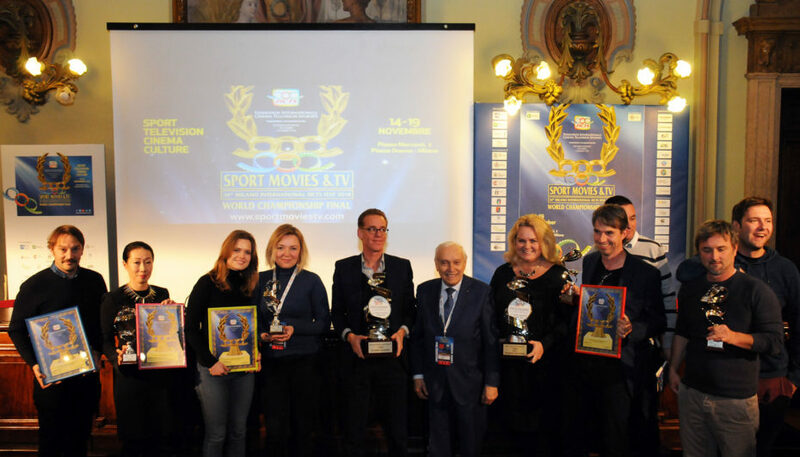 THE BEST OF WORLD TV SPORT CHANNEL: “Award given for the ability to show innovation, a creative programming and opening, with impact and success to the audience”. OLYMPIC CHANNEL (Spain): withdrawn the award Dr Francesco Ritti Bitti President, Dr Federico De Mojana Head of Programming and Dr Mariano Amiune Commissioning Editor. SPORT VALUES OF A TV PROGRAMME: “Award for the best reportage or tv series produced for the television in national or international markets for encouraging the intellectual development of viewers, especially the young ones and for highlighting the socio-educational, human and spiritual values of sport practice”. MEDIASET as “TV Network that, without the participation of the Italian National football team, has recorded an audience of 297 million of viewers, with 49 million more (+ 19.7%) compared to the previous edition with the Italian National football team at the last FIFA World Cup”. 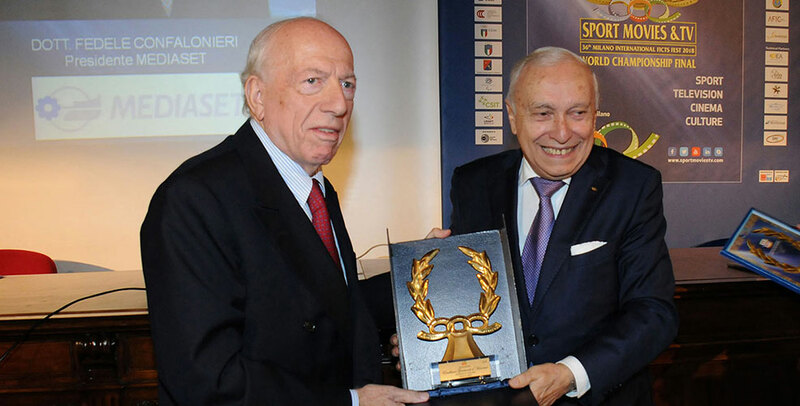 The award was given to Mediaset President Dott. Fedele Confalonieri (in the picture with FICTS President Prof. Franco Ascani).